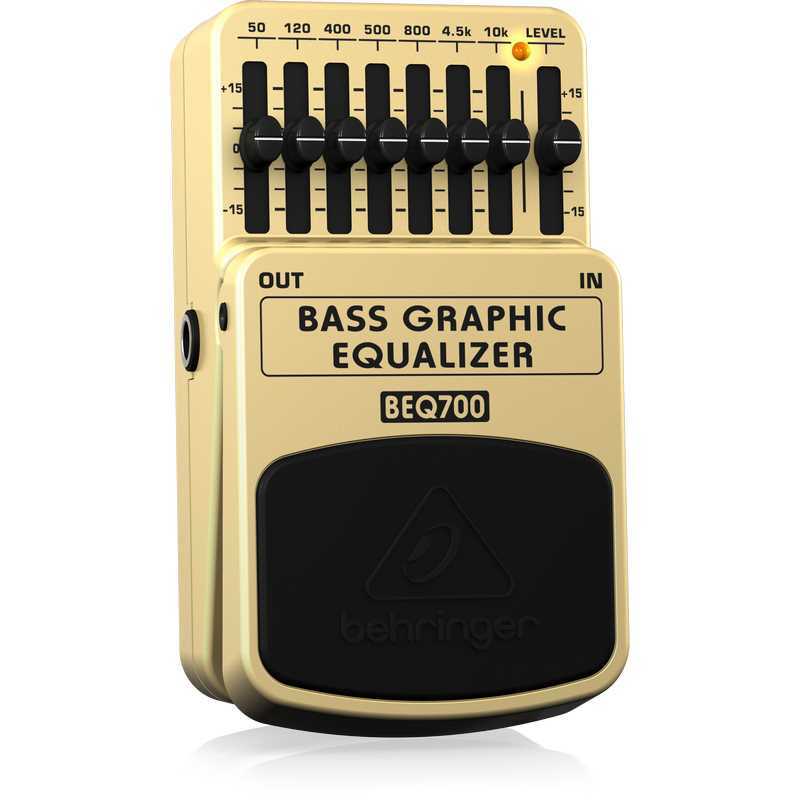 With 15 dB available boost or cut per band, the BEQ700’s seven frequency bands have been carefully chosen to provide the ultimate tools for EQing the bass guitar, even extended range instruments. Of course, to make full use of its capabilities, you should first understand some basics about the frequency range of your axe. When frequencies from 20 Hz - 200 Hz are boosted or cut, the bass is affected dramatically, since sounds in this range are often felt, as well as being heard. Boosting frequencies within this range can increase the sensation of power and punch. Conversely, reductions in this range can weaken or muddy low-frequency response. The fundamental notes of most basses fall within the 40 Hz - 1000 Hz range. Even slight changes in this range can cause a tremendous variation in overall bass energy and impact, as the human ear is especially sensitive to this range. Boosting frequencies around 200 Hz often gives the bass warmth and body, without a loss of definition, while boosting frequencies in the 500 Hz to 1000 Hz range tend to make bass sounds brittle. Often, better EQ results can be achieved by reducing the frequency bands that are off ending, and by turning up the overall volume rather than boosting one specific band. 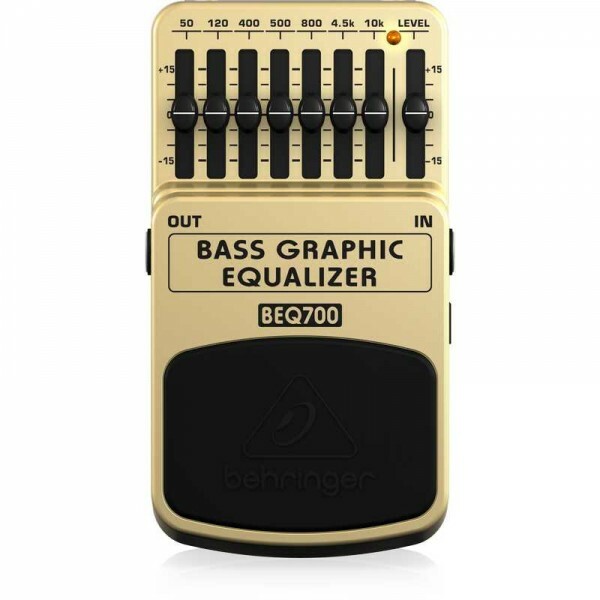 The BEQ700 offers more features than anything in its class – and it’s kind to your wallet! 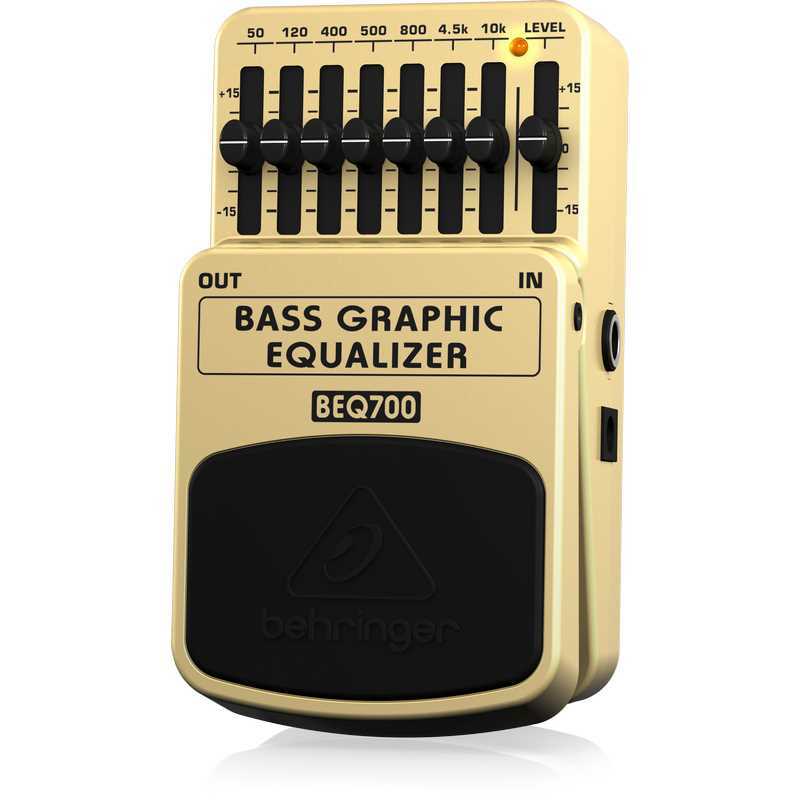 From its easy–to-use controls, to its noise-free On/Off switch – the BEQ700 will keep you solidly in the zone. Try one out at your local dealer, and see just how good you and your bass can sound.